Replacement windows made from vinyl gives homeowners the ability to save time throughout the year by eliminating window maintenance such as sanding, painting, cleaning and resurfacing. Vinyl windows allow for you to focus on other parts of your life without worrying about the damaging affects of hot, humid summers, cold winters and the occasional tropical storm. Well-insulated vinyl windows separate your home from extreme exterior temperatures, which can help reduce the need for adjustments to your heating and cooling system. This can often translate into lower energy costs. In fact, the U.S. Department of Energy states that poorly insulated windows are to blame for 10% to 25% of a homeowner’s heating bill. Natural light makes any task more pleasant. Our vinyl replacement windows have durable frames and larger glass surfaces that allow more light into your home and protect your natural views. Windows are the cornerstone of your home’s visual interest, both inside and from the curb. Vinyl windows add a striking feature and focal point to your home. In addition, our self-locking sash makes window cleaning a breeze. Our windows are UV-resistant, preventing sun damage to your home’s walls, floors and furnishings. Our windows are designed to withstand the humid summers and the chilly winters of the Mid-Atlantic climate, remaining strong and durable for the lifetime of your home. Our vinyl windows are designed to help you increase the comfort and energy efficiency of your home (which can translate into lower utility bills) while adding to its resale value. Our windows can also eliminate costly maintenance, creating a good return on the investment. 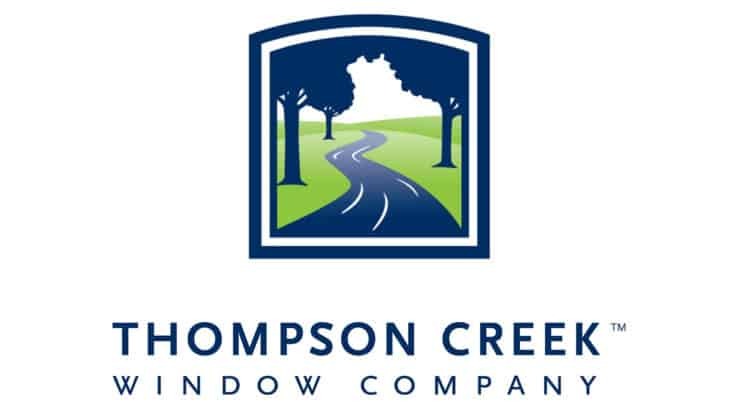 Learn more about vinyl replacement windows or explore our many window options. My husband and I want to remodel our kitchen, but we’ve never done this before and could use some help. Your article had some great tips for how to hire someone like this, and I liked how you said to have an in-home consultation with a potential hire, and to ask about their licensing during this. We should only hire contractors with readily available licensing information, and we’ll keep this in mind during our home remodeling project. We’re glad we could help, Jocelyn! Thanks for checking out our blog post! My home is over fifty years old, so I think it would be great to remodel it. I completely agree that one should look for information on remodeling contractors on the BBB; I can see how this would help find honest and upright businesses. Thanks so much for all the wonderful tips on hiring a remodeling contractor! Hopefully my home looks nice and new soon! We’re glad you found our post helpful, Bethany! My wife and I want to remodel our house and hire a remodeling contractor to help us with it. I think you make a great comparison between established and new remodeling companies. I’ll have to talk with my wife if we want to focus on established or new companies in our bid. Thanks so much, Michael! We hope your remodeling project goes well! I loved when you mentioned how an experienced company can help you get good results. We are planning to build an extra room to our house. Choosing someone that has great reviews can help you get great results. One of the important things to keep in mind when looking for a home improvement contractor is the fact that they should be insured just in case an accident happens while they’re working on your property–and at the same time, your house should be insured as well! Another thing to check for is their licenses to operate so that you’re certain that the services you’re hiring are legitimate and available. If I had the chance to hire a contractor to help renovate my house’s interior I would always check first for their licenses to make sure that they’re allowed to conduct their business. Thanks for checking out our post, Adrian! My husband and I want to remodel our old, outdated bathroom, and your article had great tips for choosing a contractor that could help us with this. I liked how you said to hire someone that is insured and bonded, and has general liability and auto insurance. Thanks; we’ll keep this in mind when hiring a remodeling contractor. You said that we should make sure that our contractor is licensed. I could see how this would be important. It would be crucial for a commercial contractor to be insured too because they are building bigger things. Thanks for pointing out that you should always check to see if a contractor is licensed and insured before requesting a quote. My husband and I are looking into residential home remodeling contractors because we think it’s time to update our house a little bit. I think that knowing that they were licensed and insured would just help give me peace of mind and help me know that they knew what they were doing, and were going to do a good job. Glad you are happy with it, John.